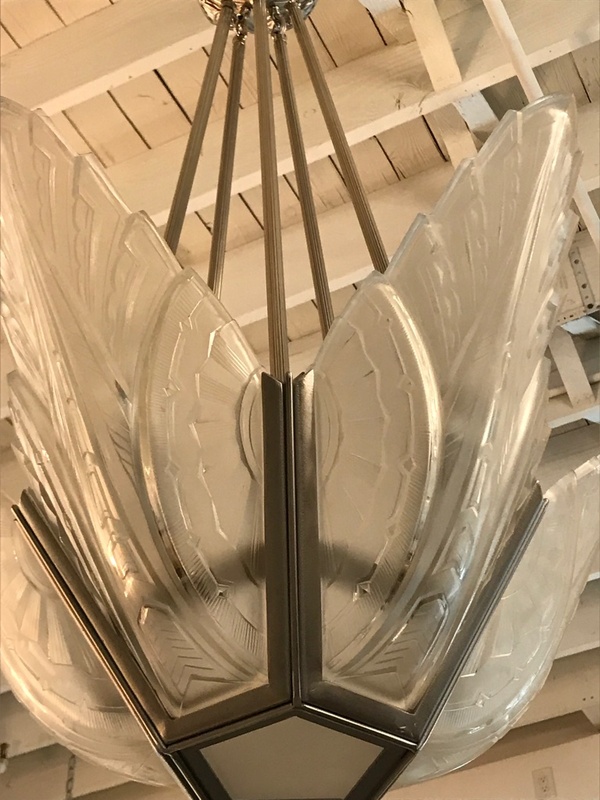 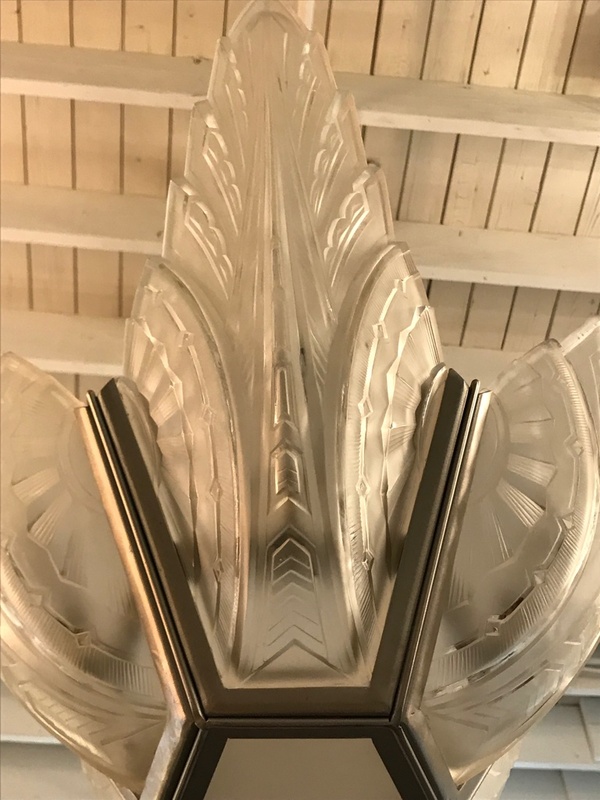 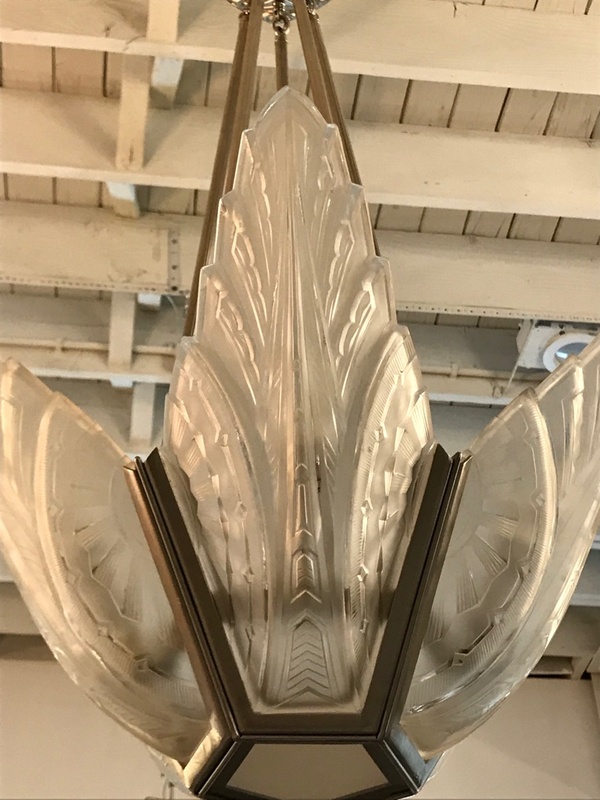 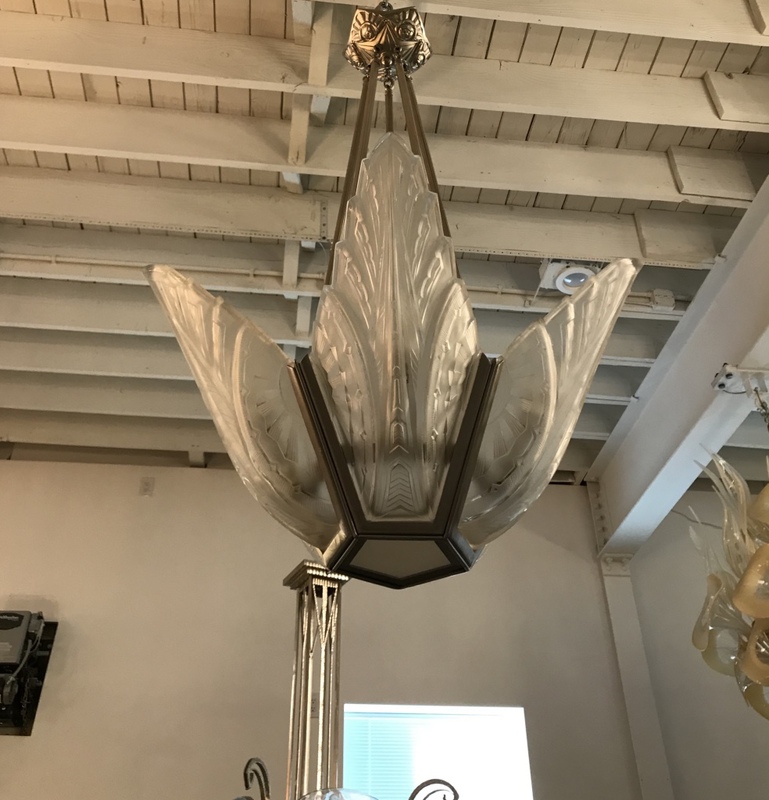 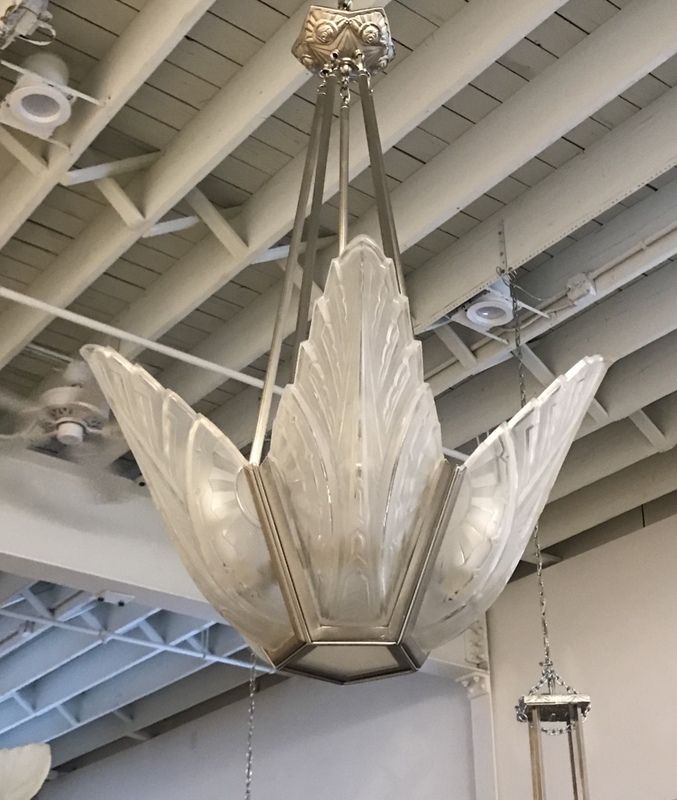 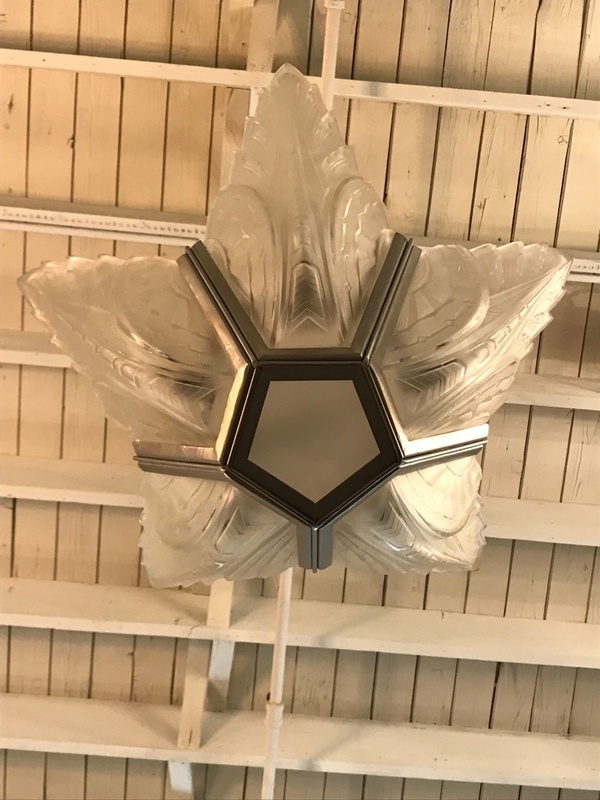 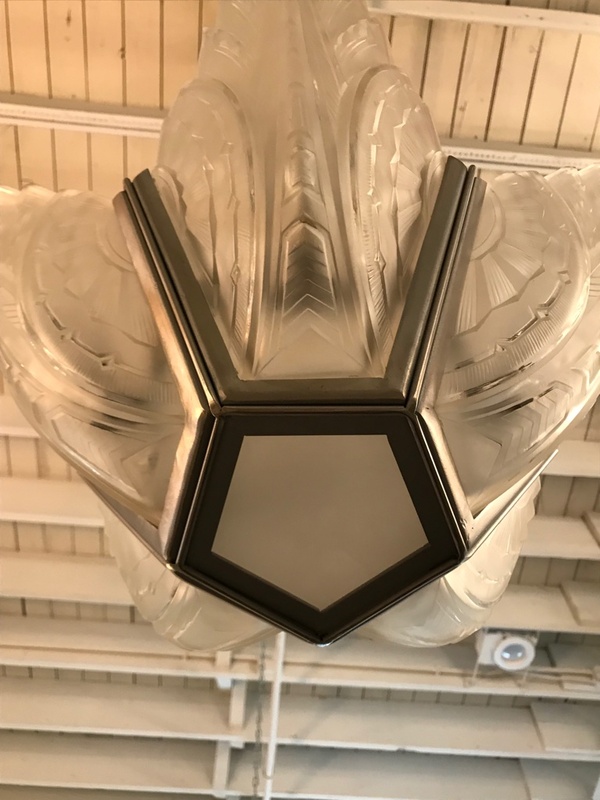 Elegant French Art Deco chandelier signed by Des Hanots. 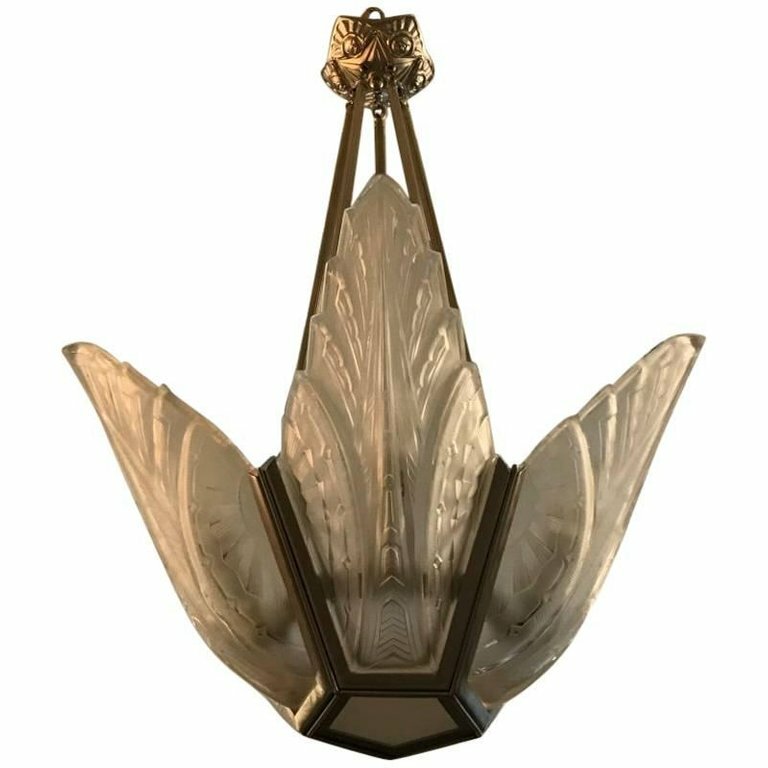 With five clear frosted glass panels having geometric motif. 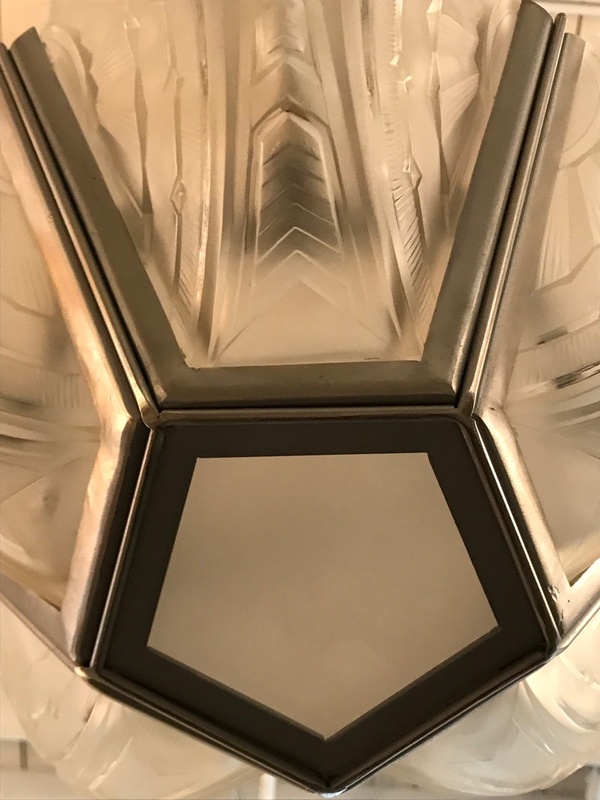 Polished details on a silvered nickel frame with a streamline design. 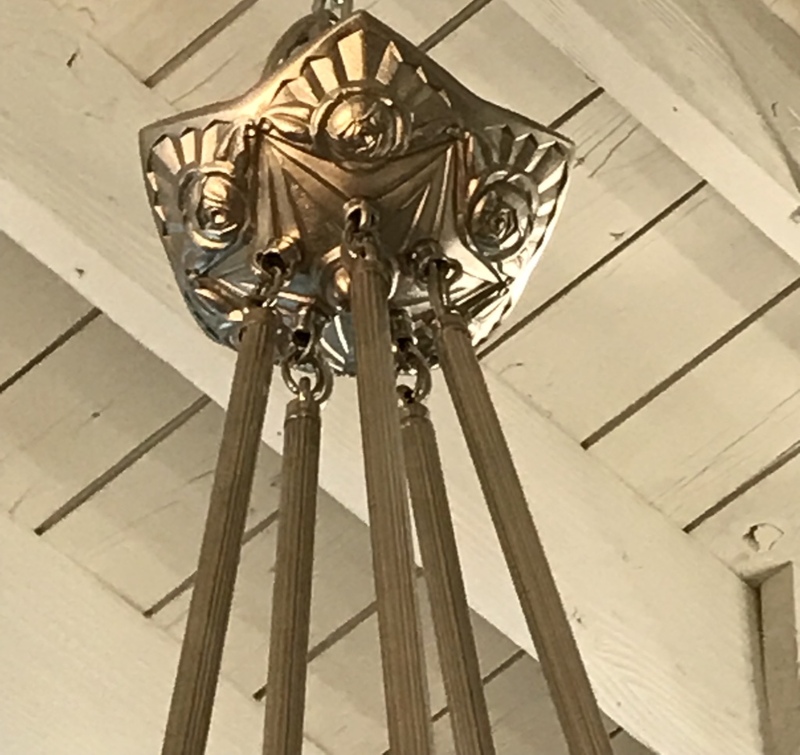 Has been rewired for American use.